Children have a home at FBC! 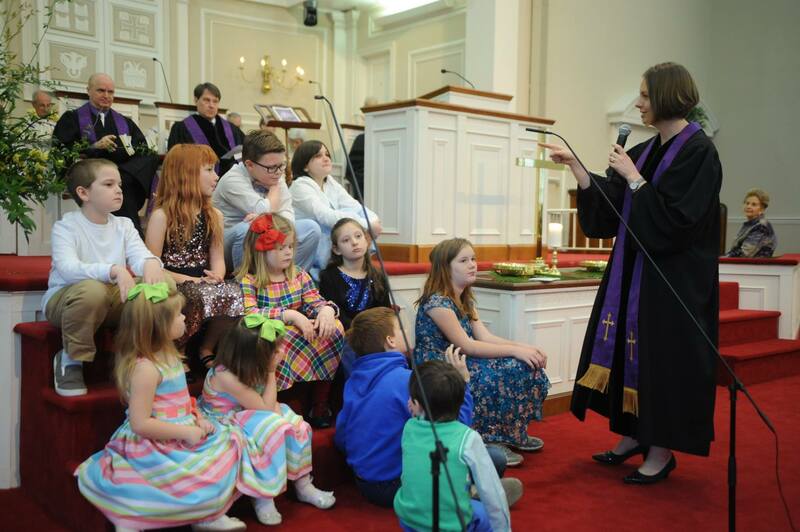 At FBC, we believe that children belong to the Body of Christ. Our children’s ministry strives to help children learn what it means to follow Jesus through a holistic and relational approach that includes worship, Bible study, missions, music, fellowship, and more. To us, following Jesus isn’t simply about being good; it’s about being the presence of Christ, and we encourage and empower kids to do just that! In all of our activities and conversations, we seek to nurture faith development in a way that is sensitive and appropriate to each child’s journey. We do not manipulate or coerce children into making faith commitments; rather, we encourage and challenge children to seek and ask questions and to follow Jesus as best they can. Of course, a child’s faith development is not something that happens only at church, but also at home. As such, we seek to partner with families as their children learn and grow in their faith. We’d love to get to know your family and minister to you and alongside you. Come check us out on a Sunday morning or a Wednesday night! For more information about our Children’s Ministry, email Erin Collier, Associate Pastor for Families and Worship. **Nursery care is provided for infants-2 year olds. Preschoolers attend the first part of worship service and invited to go to extended session after the children’s sermon. 1st graders and older attend the full service. We value children in worship! *For more about our children’s music program, see the music page. Each October, our church hosts a free hot dog dinner followed by Trunk or Treat in our parking lot. A church-wide celebration to celebrate Advent and Christmas together! Families who are celebrating their first Christmas with a new baby are invited to attend a special time of celebration. One Sunday each year the children lead in all aspects of morning worship. An overnight retreat for our oldest children. Our Easter celebration is full of games, activities, and of course, an Easter Egg Hunt! All preschoolers and children are invited. Typically held in June, we offer VBS for preschool-6th grade, where children learn Bible stories in a fun and creative way. We have several morning camps that we offer during the summer for rising Kindergarten-4th grade. Registration is required, as space is limited. This camp is offered to children in 3rd-6th grades. It is a fun-filled, mission-focused, Bible-centered four-day camp designed with children in mind. For more about Passport, click here. 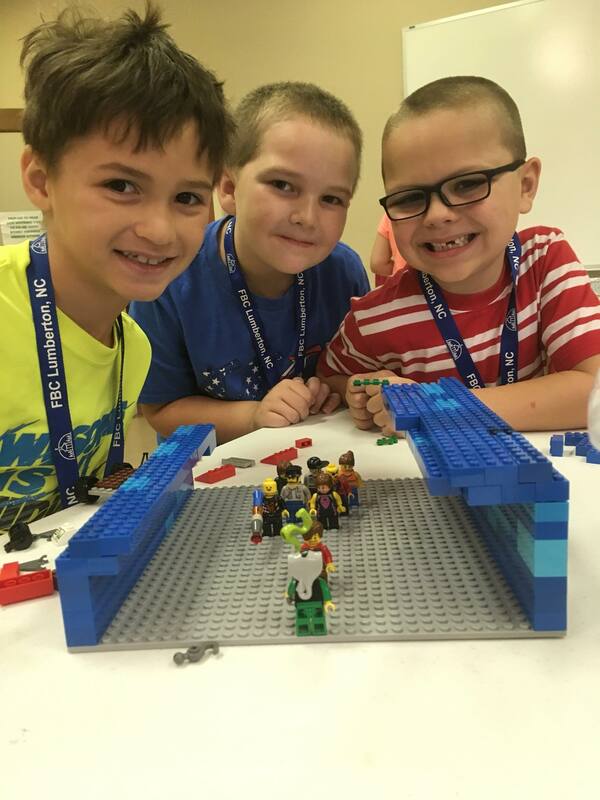 This week-long summer day camp is for 1st – 6th graders. It is a fun week of music, Bible stories, games, field trips, and more! Movie nights, fun outings, holiday events, lunch bunch meetings, and more are scheduled throughout the year.